If you want to try something new for your bridal makeup, then this one is for you. Read on to know and learn the step by step illustration of Arabic bridal eye makeup. Arabic bridal makeup focuses on two key elements – gorgeous, bold and dramatic eye makeup and subtle cheeks and lips. You can easily create this look by following the simple steps mentioned below. 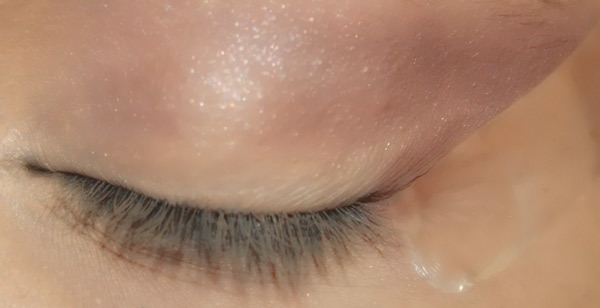 Let’s begin the eye makeup by covering up all the patchiness around the eye area. I have used my Mac foundation and applied it as a concealer. If you have dark circles, then you should use a corrector before applying the concealer. 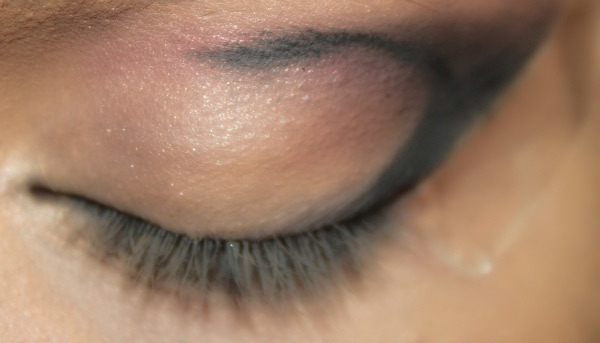 Now, apply a medium brown matte eye shadow on the crease. Do it using a wind shield brush in a wiper motion. 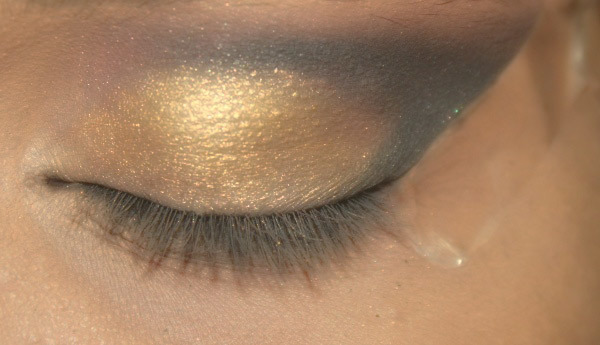 This step will give an illusion of deep set eyes. Please be very careful while application. Ensure that you don’t go beyond the crease area and not move inside the lid area. Now, apply a dark black eye pencil to the outer corner of the eye over the brow in the shape of ‘C’. Extend it to create a winged shape. Use a flat eye shadow brush for this step as it helps to achieve maximum color intensity. Remember to create maximum color intensity here. I have used the Lakme eyeshadow Tanjore rush quad for the gold eye shadow. Here, carefully pat the eye shadow over the central part of your eye lid instead of sweeping it as is usually done. The patting motion will help to apply the color uniformly. Now, use a flat brush and pat a bronze shade over the outer third corner of the eye. Don’t go very far outside but just at the place where your eye socket ends. This step will give a transition of colors from gold, bronze to black. The finished look is important. It should not look like there are three different shades used but a perfect blend of shades merging seamlessly into each other. 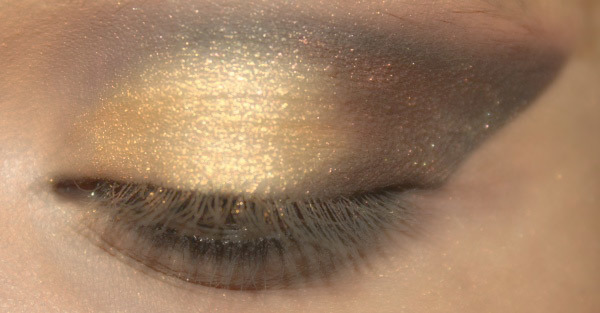 At the same time, do not swipe too much, so that the metallic finish of these shadows is not lost and mixed. There should be a soft gradation of colors. Apply dark kohl a bit thicker than the usual line on the upper and the lower lash line. Here, I have used a gel liner to create maximum color intensity, you can even use a liquid liner. Arabic eye liner has a bold dramatic winged liner look. Extend the eyeliner to create a wing at the outer corner of the eye. 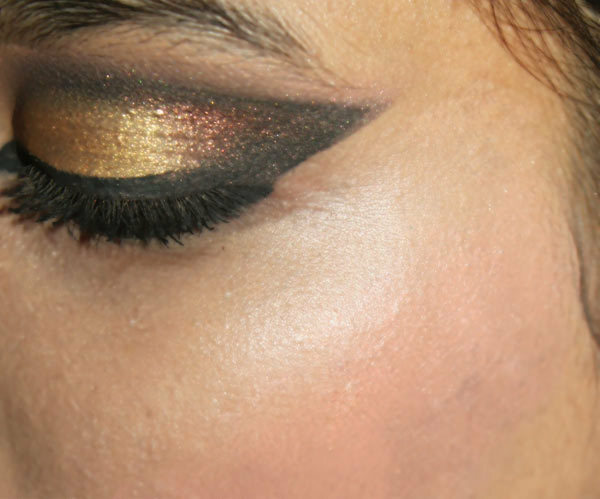 Make it pointing downwards on the inner corner of the eye for the classic Arabic winged liner look. Remove all the fall-out of the eye shadows below the eye with the help of a cotton swab. Apply a light concealer to highlight your eyes. Apply a soft pink blush in a matte finish to your cheeks. The eyes add all the drama to the whole makeup. Here, I have used my favorite Inglot blush in the shade number 32. You can also apply a shimmery pink blush. But a matte blush will give a more natural finish to the skin which is perfect for the occasion. To complete the Arabic bridal look, apply a pretty pink or peach lipstick to the lips. Conceal all the lip pigmentation with a good concealer. 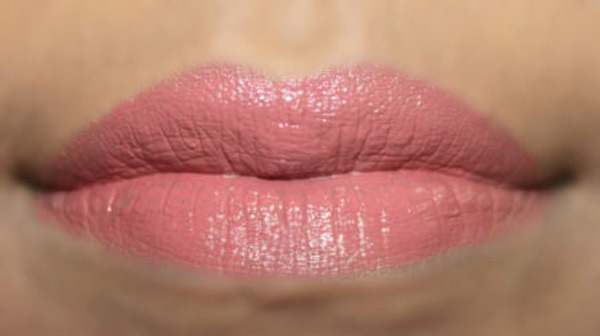 Then, apply the lipstick with a lip brush to achieve even application of the lipstick. 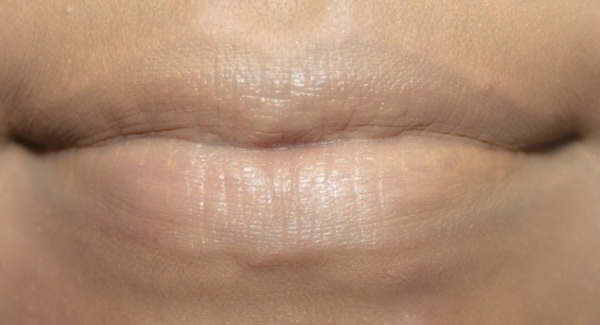 Add lip gloss at the center of the lips to give a plump lip effect. Here, I have used the Kryolan lipstick in the shade lc121. This is a very bold and dramatic makeup look which is just perfect for brides. 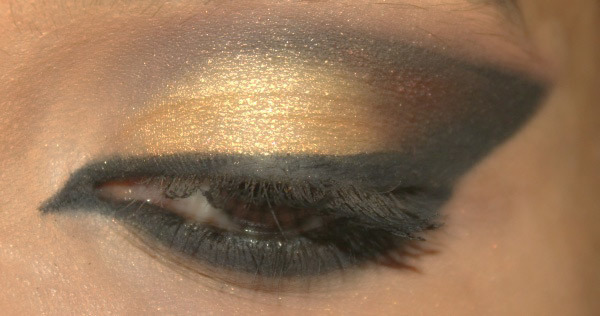 If you want it to be less dramatic, just use a lighter eye shadow in place of the black. Also, apply a soft wing when it comes to the eye liner. Try this stunning Arabic bridal makeup and flaunt in style. And, please don’t forget to tell us how much you liked it in the comments section below.